Located just south of Spokane, Washington, amid the towering pines and gently-rolling fields of beautiful Paradise Prairie, we are thankful to call this peaceful place home! We met in 1987 while Blain was stationed at Fairchild AFB, and Cindy was finishing her degrees at Whitworth. After retiring from the Air Force in 2007, we were excited to get back to the area, since there was no other place we’d rather have settled with our three kids! We are passionate about Labradors, and have a long history with them going back to childhood days. Whether chasing an occasional pheasant, helping with chores, playing with the kids, helping facilitate therapy or search & rescue, acting as personal “fur-therapist” J, participating in show & other eventing, or just being a weekend couch-potato buddy, there are many reasons why Labradors continue (for the 27th year in a row as of 2018!) to be the most popular dog in America! Less than a year after being married, we purchased our first registered Lab (Dolly) in Omaha, Nebraska, where we were stationed at Offutt, AFB. With that first sweet girl, a spark was lit to “go deeper” in raising these wonderful animals. After a planned, successful litter of wonderful puppies our vision was further distilled. Even so, being a career military-officer-family does not make “growing roots” easy for the duration of the commitment! With young children, military deployments, and a few PCS’s (permanent change of station… moves), we knew our dream of expansion would have to hold. 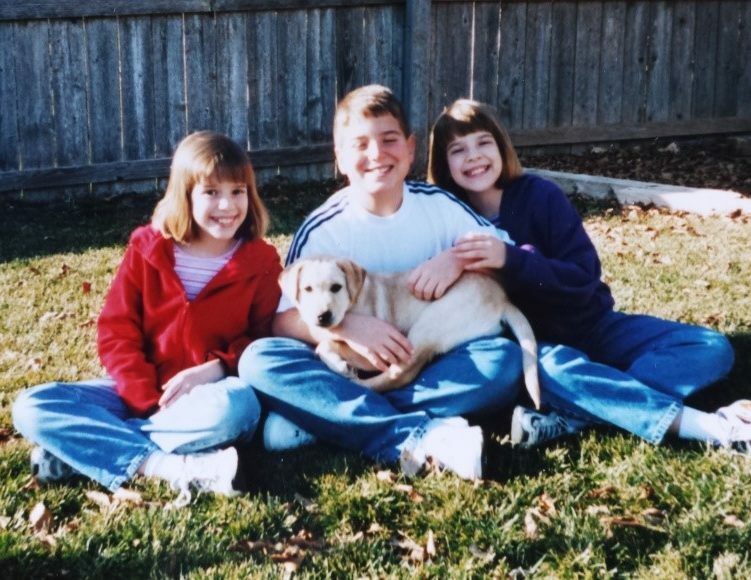 We purchased our second registered Lab “Molly” (Goldberrys Oregon Dreamer) in 2002, from Charlie Tolkien (Goldberry Yellow Labradors), as a show and foundation prospect, since we thought our Air Force days were numbered at that point. To our surprise (in 2004), Blain was offered a wonderful 3 year assignment in Germany, so we once again, put things on hold. Once back in the Inland Pacific Northwest, our patience was further-tuned with Blain having to take post-Air Force jobs out of state. In a step of faith, we began to move the dream forward in purchasing our second awesome Goldberry pup, “Taya” (Goldberrys Northwest Treasure). After much homework and a couple referrals, we found another great Breeder (Sherrie Petty/Shiloh Labradors), from whom we purchased our male pup, “Tucker” (Shiloh’s North Star Rising). We couldn’t be more excited about the two of them! J Their pedigrees are not only phenomenal in themselves, but we feel they both complement and positively “add” to the other! We then got on the waiting list for another show prospect, and purchased our little, “Willow” (Goldberrys Evenstar), in July of 2017. She is Taya’s half-sister and another beautiful little gal! We were blessed with the more than 14 year presence of our dear Molly, who passed in November of 2016. Her paw prints will always remain on our hearts. After much waiting, we found “the farm”! When you’re “home”, you just know it, and we are thankful each day for the incredible blessing this place is! There has been a lot of work to do, but we’re excited about the future. The dogs love it too, so we’re here to stay!